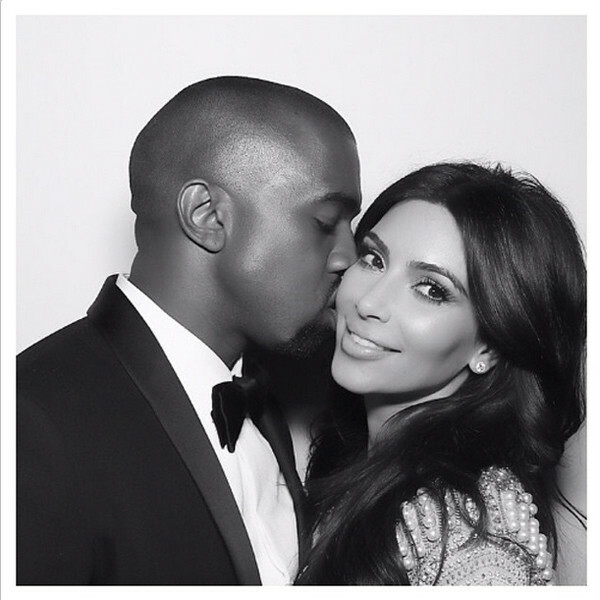 On Monday Kim Kardashian and Kanye West announced the name of the newborn son. And while many have speculated about his middle name, it’s been revealed little Saint West doesn’t have one. It was thought the tot could be named after Kim's late father Robert, but a family source told E! News that he will only have a first and last name just like sister North. It comes after insiders revealed why Kim and Kanye settled on the name Saint. Sources told E! the new parents decided upon the religious name as they wanted to show how much of a "blessing" their son is after Kim's "difficult pregnancy". The Keeping Up With The Kardashians star, who described her second pregnancy as the "worst experience", also had a complicated birth due to Kim suffering from something called placenta accreta - when the placenta grows too deeply into the uterus. The condition - which has the potential to cause severe blood loss after delivery - made the birth “the most painful experience ever”, reports TMZ. Kim’s doctor’s needed an extra few hours to deal with the placenta issues, but the mum still managed to have a natural birth instead of a c-section, something which is believed to be recommended if suffering from the condition, according to the website. The 35-year-old also suffered from it with North and previously revealed she may have to have a hysterectomy after she gave birth to her son because of the condition. She shared: "With the issues I had last time, my risk of having preclampsia and placenta acreeta are increased and there's not a whole lot I can do to prevent it, so my anxiety is a little high leading up to my delivery. "In a very rare case, I might need a hysterectomy after delivery if my condition is severe enough, but luckily my doctor doesn't think this will happen. So as time goes on, I am stressing out less and trying to go with the flow. "We induced my labor and I had North soon after. Right after delivery, the placenta usually then comes out. Mine did not. My placenta stayed attached inside my uterus, which is a condition called placenta accreta... My doctor had to stick his entire arm in me and detach the placenta with his hand, scraping it away from my uterus with his fingernails. How disgusting and painful!"